344 pages | 27 B/W Illus. In recent years, football’s status as "the world’s sport" has shown little sign of waning. From increasing participation at grassroots levels and to the highly lucrative media rights deals secured by the top elite clubs, the game appears to be thriving as it continues to excite and enthral billions of people around the globe. Nevertheless, there are a number of challenges and opportunities facing the football industry today that warrant further examination. 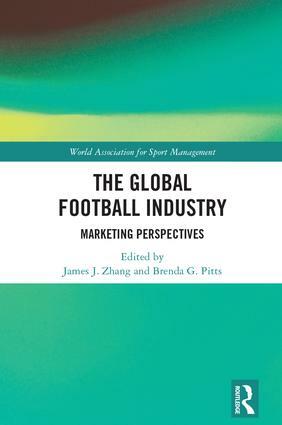 This book brings together leading international researchers to survey the current state of the global football industry, exploring contemporary themes and issues in the marketing of football around the world. With contributions from Europe, Asia and the Americas, it discusses key topics such as football club management, the economics of the football industry, match-fixing, social media, fan experiences, the globalized marketplace, and the growing popularity of the women’s game. Offering insights for researchers, managers, and marketers who are looking to stay ahead of the game, The Global Football Industry: Marketing Perspectives is essential reading for anyone with an interest in international sport business. 9. Videographic Analysis of "Weird Guys": What Do Relationships Mean to Football Fans?